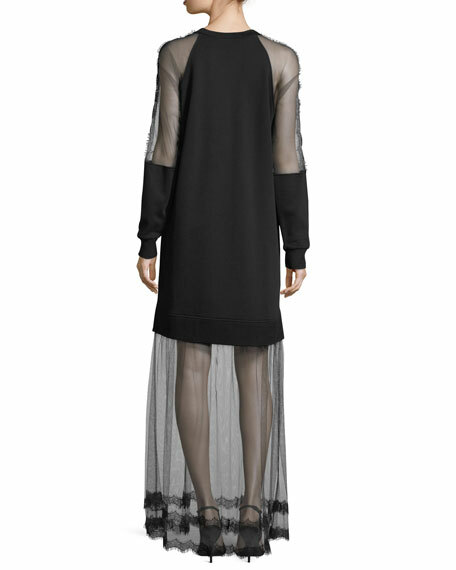 McQ Alexander McQueen "Hybrid" long dress. For in-store inquiries, use sku #2498026. 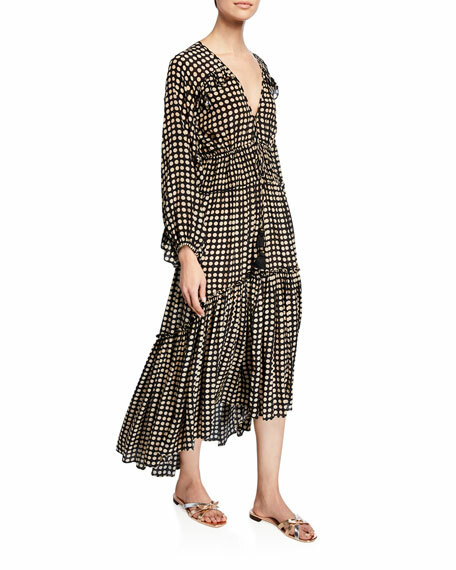 Figue "Bella" dress in moon-striped jersey. Split neckline; self-tie with tassel accents. Long blouson sleeves. Tiered, A-line silhouette. Flounce, high-low hem. Maxi length. Viscose. Imported.